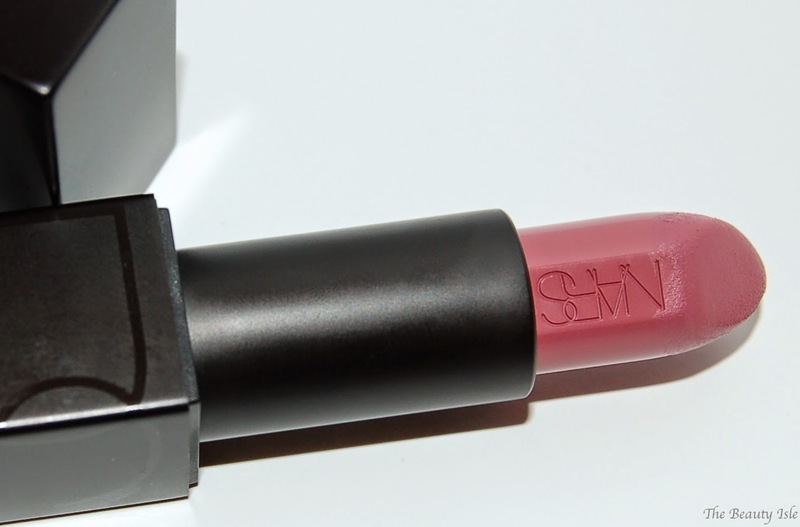 The NARS Audacious Lipsticks are HUGE right now in the online beauty community. I knew I had to get my hands on one after hearing all of the excellent reviews. I chose the shade Anna which is an everyday wearable color and one of the most popular. The packaging on these lipsticks is super sleek and simple. The most fun part is they have a magnetic closure. You just put the cap near the base and it clicks closed because of the magnet. Sephora carries 30 shades of this lipstick, you can find 40 shades on the NARS website, and Barneys has some shades exclusively to them. I bought the shade Anna at Sephora. Anna is described as a smokey rose. To me, this is a mauve shade with a splash of orchid. This lipstick has a semi-matte finish on my lips. 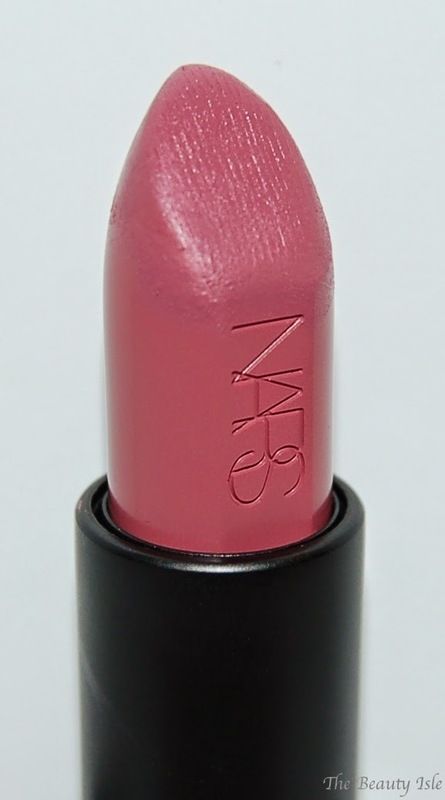 As can be seen in the photos, NARS is etched in the lipstick itself. 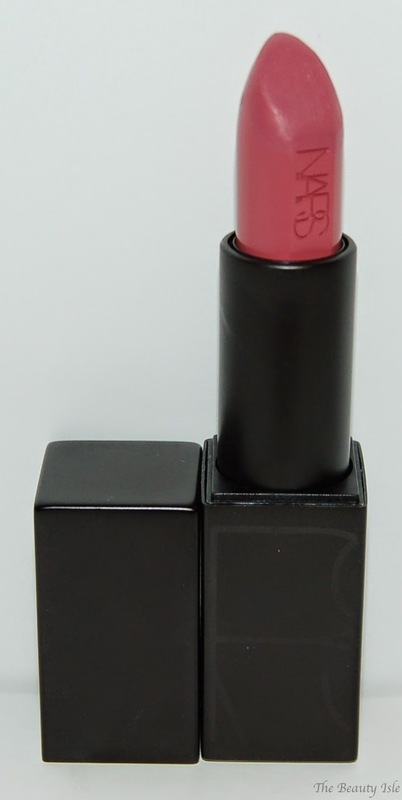 This lipstick is rediculously pigmented and opaque! The wrist swatch below was done in one swipe (actually 2 since it's a wide swatch). I LOVE the color of this lipstick! 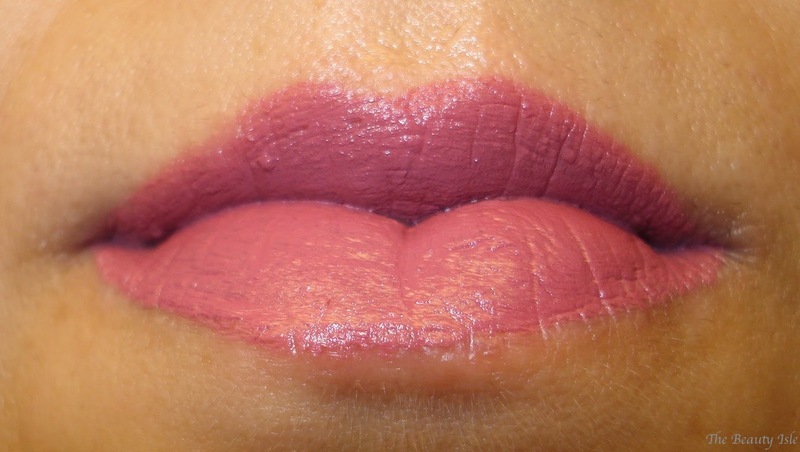 I own a lot of mauve colored lipsticks and this one is really unique because of the slight orchid in it. 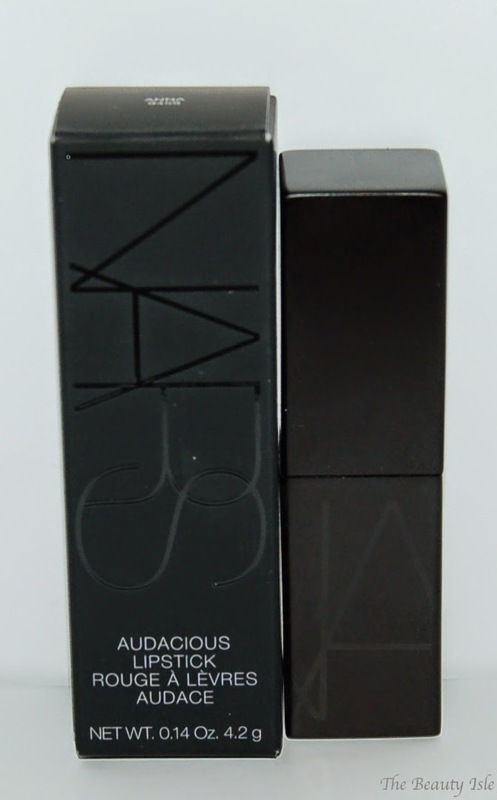 The NARS Audacious Lipstick applies really easily and just glides on the lips. I've seen reviews claiming that this lipstick is hydrating, it's not but it also doesn't feel dry either. It's kind of neutral and really comfortable to wear. One swipe is all you need to get full color payoff. It lasts a few hours on me without eating or drinking.